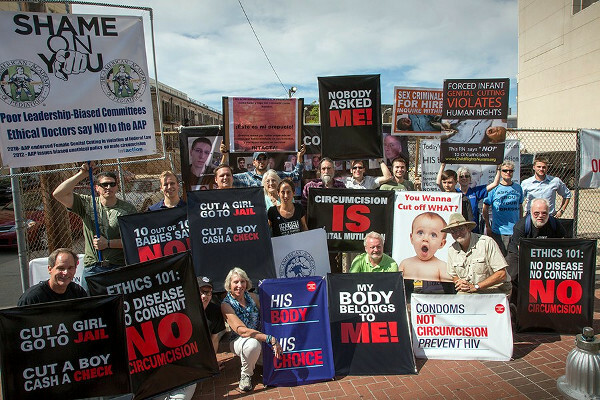 Intactivists from around the country traveled to New Orleans last October during the American Academy of Pediatrics annual conference to protest the organization's promotion of routine infant circumcision and other forms of non-therapeutic, non-consensual, genital cutting. 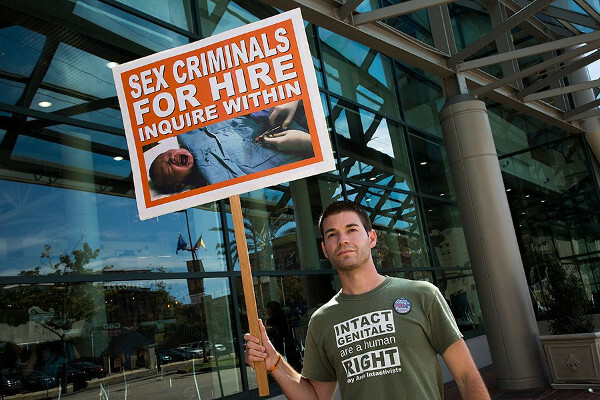 Bay Area Intactivists member Jonathon Conte was one of those attending and he also participated in a press conference organized by Intact America. The protest lasted several days and included a round-trip march from the convention center to the financial district. Another protest highlight was the group of seven men who posed in white coveralls with red-stained crotches to symbolize the bloodshed of those subjected to genital mutilation.